To see recipes that currently do not meet your dietary restrictions, uncheck “My Diet” when searching the Recipe Box. When you find a recipe you might like to modify, open the recipe card to view the ingredients. If you can modify this recipe to meet your needs, select “Actions” in the upper right corner of the recipe card, and then select “Modify” from the dropdown list. Other reasons you may want to modify a recipe include adding a tag to make searching for this recipe easier or creating a tag to schedule in your Advanced Filters. 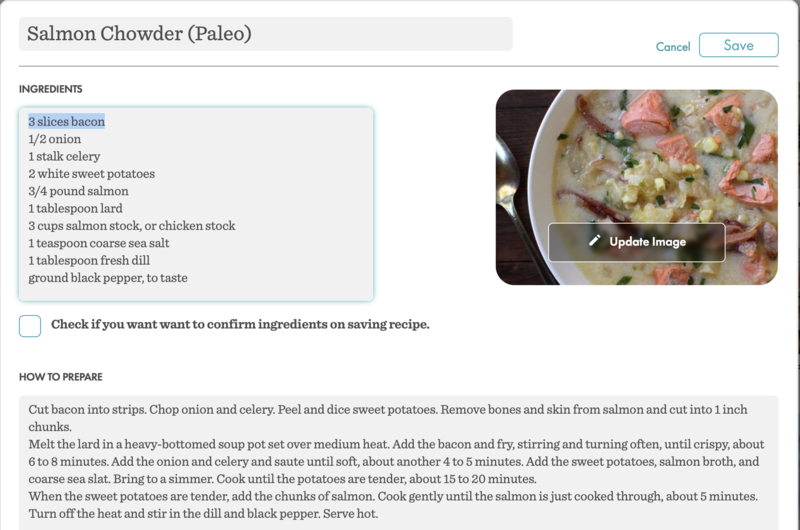 You can also add a note about this recipe, add or edit timeline instructions, add a side dish suggestion to the recipe, and change the diet type to match the changes you made. 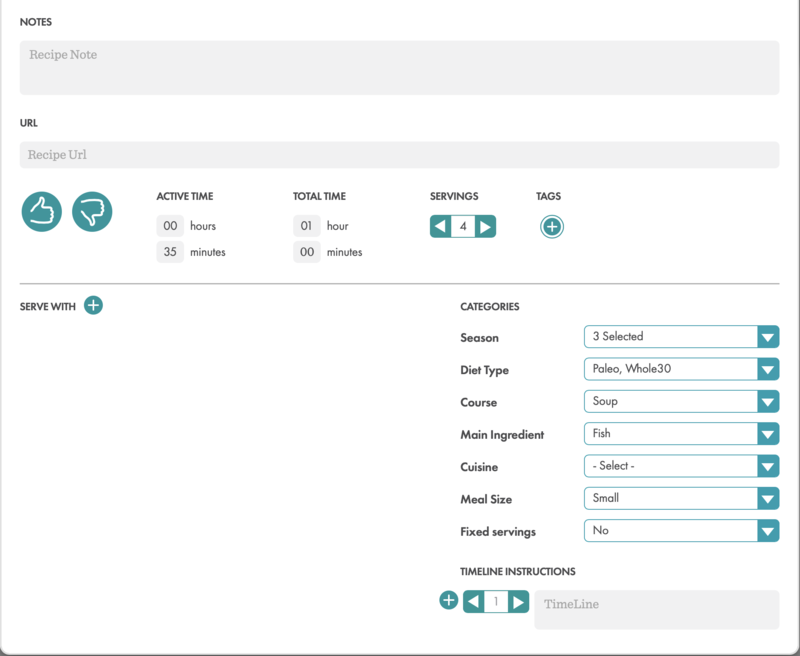 For instance, if the changes you made to a recipe made it AIP-compliant, you could add AIP as a diet type so that when you search for an AIP recipe, it will now show up. Another reason you might modify a recipe is if you find that the number of servings the recipe makes does not match the number of servings it makes for your family. For example, if you made a recipe that serves 4, but you found it fed your family of 4 twice, you might want to change the number of servings this recipe makes. This is not the place to adjust serving sizes for a particular meal or to change your default number of servings.If you need to serve 8 people with this recipe instead of the 4 it was originally written for, you will need to adjust the serving sizes from the Meal Planner so as not to skew the proportions of the original recipe. To adjust the serving sizes for a particular meal, click here. If you usually serve 8 people and want your recipes to be adjusted to that number, you can learn how to change your default serving size here. When you change the serving size using this method (Actions->Modify or “Edit” from the app), you are essentially saying that the measurements of ingredients for this recipe will serve a different number for your family than what the original recipe says it was written for. Changing the serving size here will not change the measurements. This can be compared to opening a cookbook and crossing out “Serves 4” and writing in “Serves 8”. The measurements are not changed. Only modify the serving size here if you have made this recipe before and consistently find that it feeds a different number of servings for your family using the same ingredient measurements. Otherwise, we recommend leaving this number as is.